Petrol Tap Adaptor 3 8 to 1 4 BSP for British Bike. Petrol Tap Adaptor, 3/8" to 1/4" BSP, for British Bike. 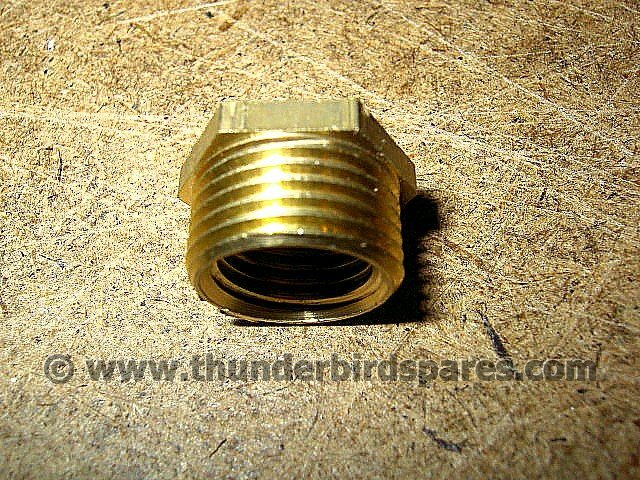 This is an adaptor in brass to enable you to fit a petrol tap with a 1/4 BSP thread (0.518" diameter) to a tank that has a 3/8 BSP thread (0.656" diameter). It is useful as it enables you to fit the later lever type or BAP type taps to vintage and classic machines that had the 3/8 BSP thread (some of the sports BSA models had this thread). It fits the BAP and Lever type petrol taps that we sell.